Reporter: AMD’s financials have looked really good as Ryzen has ramped. What has that extra influx of money done for you? Su: Well, I think what you’ll see is that we’re pretty deliberate in choosing how we roll things out, right. And so, you know, as with Ryzen and Epyc and Radeon, the thought process is, let’s do things in steps. And so, you know, the conversation about, hey, you know, Vega wasn’t supposed to be in 7nm for gamers. Actually, that’s not really true; it was, but we were going to do it in steps. And you know, the same thing in terms of, you know, how we’re bringing 7nm technology to market. We’re spending a lot more time on software and a lot more time with software developers to optimize on AMD. I think that’s, that’s really critical. I think we are doubling and tripling down on graphics. That’s one of the reasons we talked so much about gaming today. But we’re thinking about graphics in the broad sense of graphics. And so it’s, it’s PC gaming, but it’s also everything else that goes along with it, including cloud gaming, including consoles, and, you know, we think once you put that entire ecosystem together, Radeon is going to be the most powerful gaming brand out there. Reporter: Is there anything else you can say about the specifics of the 7nm architecture? What benefits will consumers actually see? Su: Well, I think, you know, you see a couple different things and it manifests itself in a few different ways, depending on which market you’re looking at. 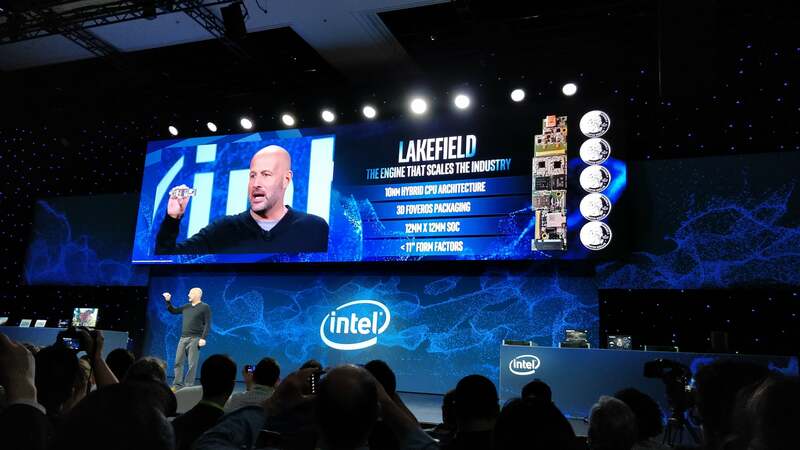 Like, for example, when we talk about the server market, you know, 7nm just gives you an incredible amount of density and so you can double the number of cores. You get 4X floating point; there it’s more from sort of a data scientist standpoint—you’re just going to be able to run your simulations much, much faster and get more done. When you go to, for example, the desktop, today we showed the preview of the third-generation Ryzen and you could see one of the things that we’re trying to show is that, you know, you could get, let’s call it, very similar performance. Maybe slightly better [inaudible] and what performance at about 30% less power. What that means is you can take the less power if you want, right, and that’s useful if you’re doing small-form-factor PCs, or, you know, you can up the frequency and get more performance. Certainly we look at those tradeoffs. Reporter: How is the 7nm process proceeding from a manufacturing standpoint? Su: Yeah, we’re quite happy with how things are going. We now have a number of different products that are going through 7nm and I would say, you know, things look good. Reporter: Intel talked about “Lakefield” this week, stacking the logic dice. Does this approach make sense for AMD as well? Su: I think this whole notion of breaking chips up is, you know, sort of the wave of the future, right? 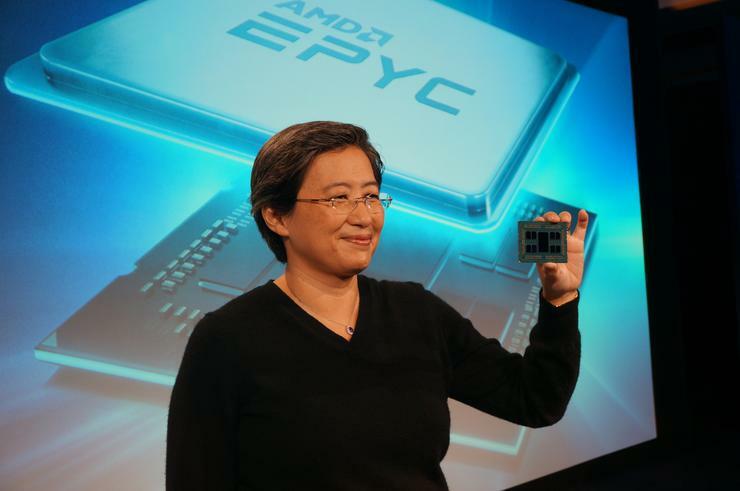 We did it first with HBM [high-bandwidth memory] on the graphics side, and then with these chiplets that we’re using here on the Epyc and Ryzen side. I think chip stacking will continue to be important going forward and we will look at it as different ways to put these architectures together. But I think the foundation is something that we believe very much in. Intel was first to announce a stacked Lakefield chip, but AMD’s “chiplets” offer a somewhat similar approach. Reporter: As followup to that, Lakefield takes a “big-little” approach where a Sunny Cove processor will be combined with four Atom chips. Could you work with ARM on something similar, or is there another approach you might try? Su: Well, I would say, anything’s possible. The question is, you know, is it necessary? I think what we’ve done with Zen is build something that is actually pretty scalable. I mean if you think about it, we scale Zen from a notebook form factor all the way up to a server form factor and we do pretty well. So I think the idea of putting different chips together, you know, chips, I/O, memory, how you partition that, how you look across all different form factors, that’s something that our team feels really passionate about. Reporter: On the separating chips question, is there a chiplet approach that can be applied to graphics? It’s a tough problem to solve. Su: I think we continue to look at every generation in terms of what’s the right partitioning, right? So whether it’s splitting the GPUs—people have asked us before, you know, [whether] Mike [Rayfield, senior vice president of Radeon Technologies within AMD] could do a CPU little die, and a GPU little die, you know, those types of things. I think it’s what makes sense; you really have to look at what the interconnect is. We have our Infinity Fabric that Mark [Papermaster, AMD’s chief technical officer] has talked to you about, and how that performs relative to the various other pieces. Reporter: Would that require a paradigm shift in how graphics hardware is approached? Su: I think that’s all part of what needs to be kind of thought through. Su: So it only took like 30 minutes for somebody [to ask the question]! Reporter: So can you give us any indication where Ryzen third-gen is going to be at? Su: If you look at the evolution of Ryzen, we’ve always had an advantage in core count, and so in this particular case we wanted to show sort of a head-to-head comparison: eight cores, 16 threads. Some people may have noticed on the package that there’s some extra room. Yep, definitely some unused space there on this third-gen Ryzen part. Reporter: Yes, we’ve already done the math. Su: So there is some extra room on that package. And I think you might expect that we will have more than eight cores. I didn’t say how many more. Reporter: And two memory channels will be enough? Su: As I said, more to come. 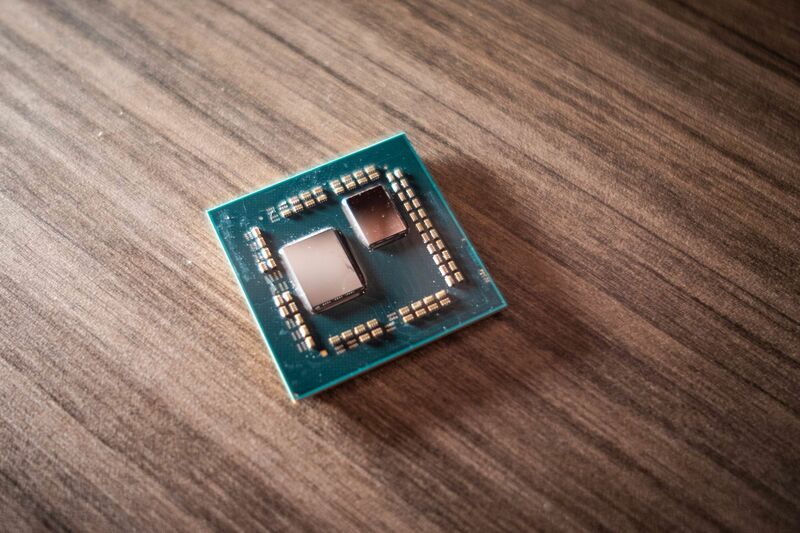 Reporter: One of the more interesting announcements over the last year was the partnership between Intel and AMD bringing Radeon graphics to Intel CPUs. But we’ve seen only a handful of notebooks use the Kaby Lake-G part. Is that relationship going to continue? Su: Yeah. So look, I think it was an opportunity for us to get Radeon into more applications, you know; it’s part of our “Radeon everywhere” message. And I think it appeared in some notebooks and those were pretty high-end, premium notebooks that really wanted the form factor because of the power. Yeah, we’ll see how that goes. We don’t have anything more to say about it at this point in time, but we’ll see how that goes. Read on to learn more about Ryzen notebooks.